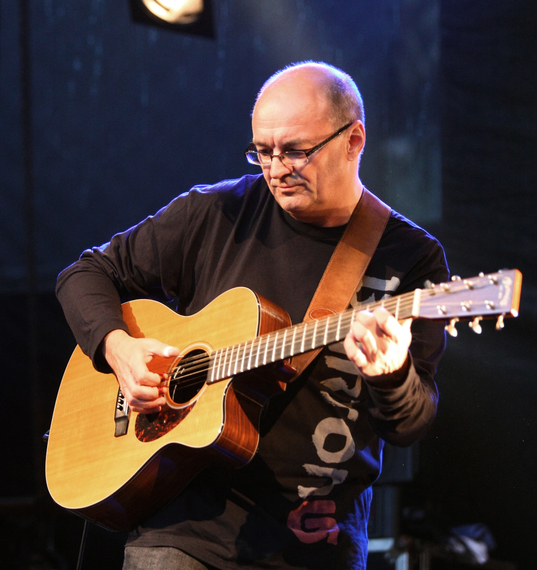 Jacques Stotzem, one of the best acoustic guitar players in the world, will be performing at The Black Sheep for the second time, after a very successful premiere in 2016. Fingerpicking, blues, rock, own creations or cover songs, Jacques Stotzem has no boundaries. He performs more than 100 concerts per year, in some of the biggest guitar festivals whether in Europe or in America. He also tours Japan, China, Taiwan, South Korea. Since 2006 he even has his own signature guitar build by Martin guitars, one of the most prestigious companies in the world. His two albums “Catch the Spirit 1&2” (that include covers from Jimi Hendrix, U2, Rolling Stones, The Beatles, Neil Young, Sting…) stayed on the charts for 41 and 23 weeks respectively. His last album “To Rory” is a tribute to his major influence, Irish guitarist Rory Gallagher. It is the very first time that Gallagher’s music is performed this way, and this project has gotten rave reviews all over the world. A new album is scheduled for later this year, and no doubt that Jacques will give us a sneak preview of it during this concert. An evening with Jacques Stotzem is a treat for all music lovers, so make sure you don’t miss this oppportunity to watch one of the most incredible guitar players around.